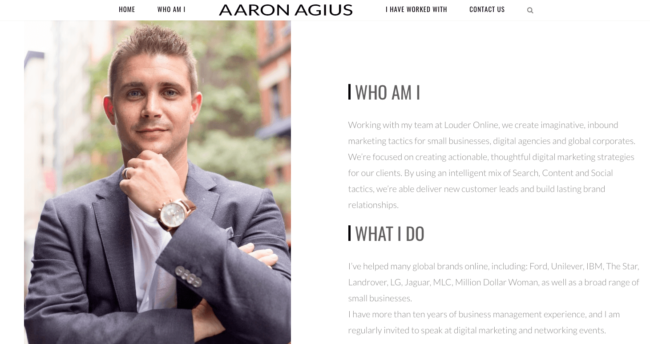 Aaron Agius is a baller. He’s an Australian entrepreneur who runs Louder Online, a phenomenal digital agency based in Australia but with offices all around the world. He’s run a bunch of entrepreneurial ventures over his career, which we dig into during this chat, but how they’ve grown Louder and the brands they work with is even more impressive. I met Aaron in person for the first time last year in San Francisco as he made his way through the US on a whirlwind tour, after he was in New York for a conference. He’s a straight up guy with a lot of awesome ideas. And if you enjoyed this episode with Aaron, check out the podcast he does with another former CredoCast guest Sujan Patel. And if you REALLY liked this episode, fancy leaving the CredoCast a review on iTunes? Thanks!